After the collapse of payday loan lenders Juo Loan and Wage Day Advance, as we have previously written earlier this year, it has now been revealed that customers who were mis-sold loans will now only be partly compensated. The company that owns the two businesses, CURO Transatlantic Limited (CTL) went into administration on 25th February and appointed KPMG as its administrator. How much compensation is owed? In terms of the amount that is owed to customers who were sold a payday loan which did not meet lending standards set out by the FCA, it is estimated to be around £223 million in total. However, it has only been recently announced by the accounting firm KPMG that customer will not receive the full amount of compensation these customers are owed, nor will they receive this payment in the near future. Do you believe you are owed compensation by one of these two now-defunct payday lending providers? KPMG said that its currently assessing every loan in order to see if CTL had met standards of responsible lending, sustainability and affordability when it offered the loan to customers. If after consideration it is considered that these were not met, then it will be viewed as an ‘inappropriate loan’ and you are due to a compensation payout. You will be contacted by email by the administrators if you have been identified as having been mis-sold a loan. 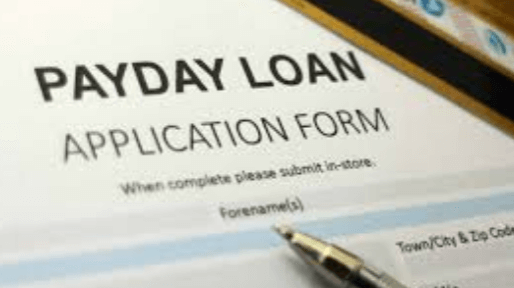 However, a small number of payday loan customers will be contacted by Shelby Finance Limited, where some customers loans have been moved on to. If you aren’t contacted but believe you are due to a compensation payout, you can request a ‘proof of debt’ form from the administrators to take further steps about a possible claim. If you have changed contact details since taking out the loan, contact the administrators. As we have stated, KPMG has warned customers that they are unlikely to receive a full payout. Instead, the administrators say the estimated amount will be the total value of interest and charges paid per loan taken out, as well as 8% interest. People who were mis-sold loans by the two payday loan providers will not receive full compensation. However, if the financial ombudsman or CTL has already specified you are owed more compensation than this amount from KPMG, this is the amount you are due. But in practice, there isn’t enough money available to receive a full payout, due to creditor liabilities. KPMG administrators have said they are in the process of confirming potential redress entitlement by email with customers, and how they can submit a claim. The exact amount people will receive is yet to be calculated.